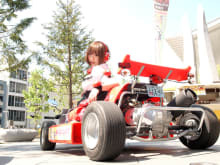 We are A Kart Akihabara who is offering go-karts experience in Tokyo! We are located in Akihabara, which is a world-wide famous Japanese Otaku paradise(Manga,Anime,Cosplay and so on)! It definitely enables you to feel SUPER excited! You can join by yourself, or join with your friends, family and take a lot of fun pictures with costumes. We are sincerely looking forward to seeing you! 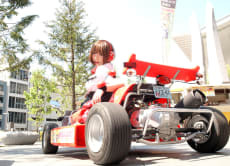 37% OFF Rent a Go-Kart and ride around Akihabara Tokyo! The karting experience is a must-do in Tokyo. It was an unforgettable experience driving on the roads of Akihabara and its surrounds. While it seems daunting driving amongst cars and trucks in a small kart, I had felt quite safe and well taken care of! It is a super fun experience and I would recommend to everyone.